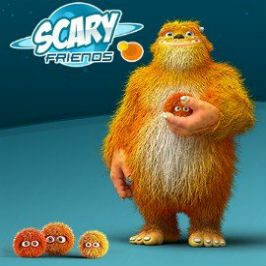 If you loved Monsters Inc and are after a way to win some generous slot prizes without digging too deeply into your bankroll, Scary Friends is for you. Developed by Rabcat and offering a ton of entertaining features as well as characters whose bark is worse than their bite, the Scary Friends slot game is one of the most interesting looking spinners on the market today. Using this Scary Friends guide, you should be able to build up a clear idea of how this game plays and why it's a slot that's perfect for players of all persuasions. Whether you're in the market for money or fun, Rabcat's team has come up trumps once again with a video slot that's packed with bags of personality and atop many punters' must-play list. Play Scary Friends for Real Money! 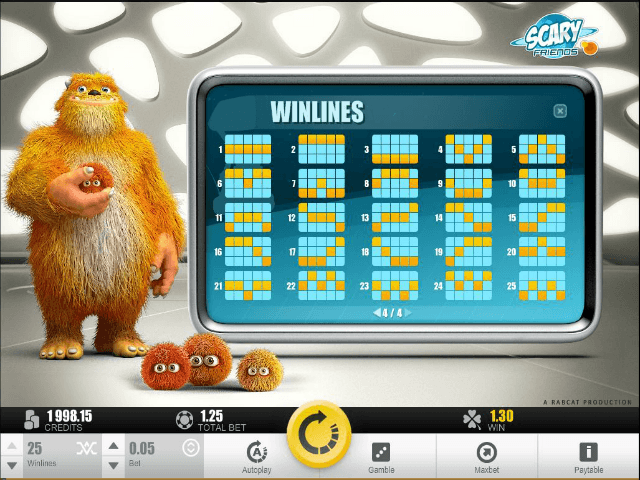 In terms of its theme, the Scary Friends slot game isn't an official movie slot, though once you load up Rabcat's software, you'd be forgiven for thinking that it's been directly influenced by the hit animation, Monsters Inc. Fans of the movie will love its thorough theming and upbeat soundtrack to boot. While it's true that there's a ton of ways to win some serious prizes, the main reason you'll want to play this video slot is the entertainment factor. 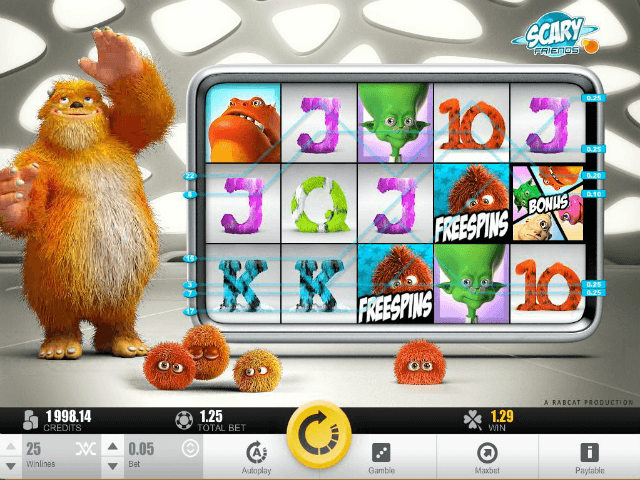 Beside the five reels and 25 adjustable paylines, you'll see a giant furry monster waving you through the action and trying his best to keep his mini monsters in check. Beyond the living creatures outside of the reels, the symbols themselves, from the card icons to quirky looking monsters, all have their own personalities. Any time you roll in a win, the symbols will hop around and generally make the whole experience a lot more enjoyable. Of course, to really make the Scary Friends video slot worth playing, the development team had to inject some prizes into the mix. A look at the payout table reveals that wins can range from 0.02 credits right up to 40,000 credits when you make between three and five matches across the 25 paylines. To help make its potential payouts even more tempting, Scary Friends slot game has three special features that help turn spins into wins. Wilds: The Monster wild will not only substitute for any other symbol expect for the scatter, it'll unlock the Scary Friends jackpot too. Free Spins: At least three furry red monsters on an active payline will trigger between five and 14 free spins. Bonus Game: Roll in three or more bonus symbols and you'll witness a monster showdown. Depending on where your monster finishes, you'll win a prize worth up to 250x your bet. In terms of potential payouts, the Scary Friends online slot game can't quite compete with the top spinners out there, though when it comes to cartoon-style entertainment, this Rabcat slot is hugely impressive. For fun and frolics laced with a few generous prizes, take a turn or two on Scary Friends. Share this Scary Friends Review today! If you like Scary Friends, you'll love these slot titles too!